This week we deal with a shocking injury, we check in on some slumping stars and examine some short-term goalie options. Okay, so the hockey world was shaken (myself included, obviously) by McDavid’s injury earlier this week. It was a nasty looking fall and slam into the boards, but although he was clutching his shoulder, McDavid got up fairly quickly, leaving us uncertain whether he was injured at all at first. But then he did not return after the period break and afterwards, the Oilers were quick to make clear that McDavid was going to be out “long-term”. To me this seemed to be a bit alarmist, even at the time before knowing the extent of the injury. Was his season over? Did he just sustain an injury that will nag him the rest of his career? No, he just has a broken clavicle and will need surgery. This is not minor by any means and the reports are that McDavid will be out for 3-4 months (no doubt very frustrating for him and the Oilers, as he was just beginning to heat up), but this isn’t the worst news possible. 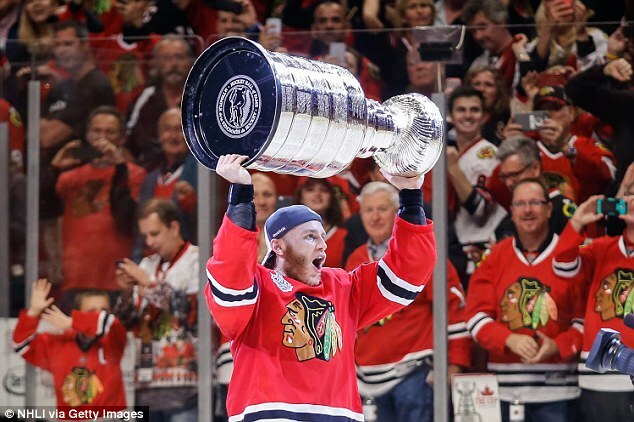 He will be back this season (although probably not until at least February), but I seem to remember another player who recently came back from a broken clavicle just in time to have a pretty good playoff run. McDavid is still a teenager, so he may not have the same ability to bounce back from this type of injury yet, but he will still have a couple months of fantasy production left at the end of the year. This is what we have IR spots for. Even in one-year leagues, I’d hang onto him (or grab him from some impatient manager if you can); I bet he will be eager to jump right back in and re-prove himself once he is cleared for return. Ryan Getzlaf returned this week after missing 4 games with appendicitis and rewarded his owners with 4 assists in 2 games. The Ducks are now on a 4 game winning streak, and it seems that they are finally breaking out of the terrible slump that they started the season with. Corey Perry has also gotten going with 5 points in his past 3 games. I think this just goes to show that with proven commodities like these guys, you need to ride and suffer through the slumps because they do typically return to form. Slumps don’t last forever, although could someone please remind Tuukka Rask of that fact? And actually, Sidney Crosby looks like he could use a reminder as well. After breaking the longest scoring slump of his career with a 3 point night on October 20, he has only 5 points in his last eight games, topped off by an ugly -4 Saturday night against Calgary. Right now he is unsustainably on pace for the lowest point total in his career. He will not finish with 0.5 points per game, but you have to wonder what’s going on with him and Pittsburgh. Last year was his career low with 1.09 points-per-game on the season. Is it possible for there to be a new low this season? I think the only reasonable option for owners is to hang on and see (unless you are being offered a trade that truly reflects the potential you’d be giving up). For those of you looking for some short-term goaltending solutions, there have been a number of interesting options if you believe in riding goalie streaks. First, Michal Neuvirth has been putting up some excellent numbers in Philly, with 3 shutouts in 8 games and 0.945 save percentage. With Steve Mason dealing with some kind of illness (with the way he’s been playing, perhaps some mutation of the Philly Flu? ), Neuvirth has gotten the past 3 starts and played excellently. While this certainly won’t last (we are talking about Flyers goaltending, after all), I wouldn’t be surprised if Neuvirth has earned himself a few more starts in the near future. Next, we have Mike Condon, who I hesitate to even mention since he seems to have been already taken in almost every league I’m in. Carey Price was out this week with an unnamed lower-body injury and Condon has been spectacular in relief. Michel Therrien has stated that there will be an update on Price’s status on Monday, which should have Price and Condon owners on the edge of their seats. To me, there’s something about a scheduled status update announcement that makes me think that it won’t be “Price is back and will be starting against Pittsburgh on Wednesday.” As a Price owner, I hope to be wrong, but I would bet that Condon is going to see a few more starts at least. Last, for those of you who are either really risk-seeking or really hurting for goaltending, Linus Ullmark has had an overall decent past several games for Buffalo. Of his last four, he’s put up three 0.945 save percentage or higher games. Of course in that other game he played for only a period and let in 3 goals. Like I said, risky. Posted on November 8, 2015 November 23, 2015 by johnnyfantasyPosted in Week in Review 2015-16Tagged Carey Price, Connor McDavid, Corey Perry, Fantasy hockey, Linus Ullmark, Michal Neuvirth, Mike Condon, Ryan Getzlaf, Sidney Crosby, Tuukka Rask.